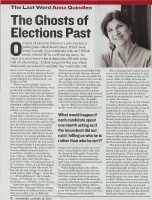 Are you familiar with Anna Quindlen, the wonderfully eloquent journalist, novelist, and opinion columnist? I first discovered her writing when Quindlen was still penning “The Last Word” every other week — the opinion piece on the last page of Newsweek. I was immediately drawn to her writing, which was always measured yet strong in a way that I — as a Southerner taught to always be nice — admired and craved. This woman knew who she was and knew what she believed and why. I wanted that, too. In addition to being a dedicated “The Last Word” reader (and both devastated and inspired when her final article was published), I went on to read many of Quindlen’s novels (Black and Blue is my favorite) and analyze her writing as part of my senior thesis in college. 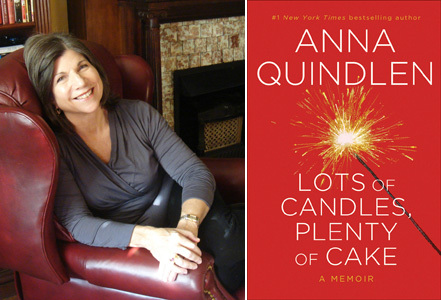 I’m waiting in anticipation for my copy of Lots of Candles, Plenty of Cake — Quindlen’s recently released memoir — which is set to arrive from Amazon any day. Because I find so much of Quindlen’s writing — particularly her opinion pieces — to resonate with me in a way I’ve rarely experienced, I’ve begun turning to her wisdom when I’m feeling in need of some guidance and comfort.